Several weeks ago I had the pleasure of connecting with Jennifer Sparks, a local mom who is a certified personal trainer and lifestyle coach, an Ironman triathlete and an author. 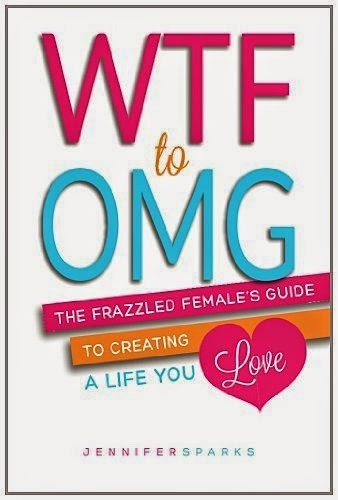 Jennifer sent me a copy of her new book, WTF to OMG: The Frazzled Female's Guide to Creating a Life You Love. 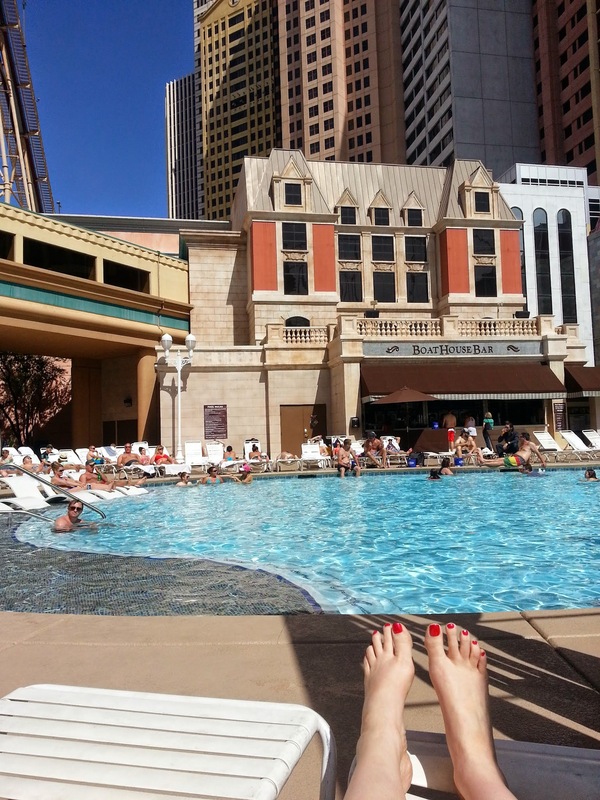 I was thrilled that her book was just in time to be my companion on my Las Vegas get-away. Much of Jennifer's book resonated with me as I have had my share of WTF moments in the last five years. As Jennifer describes it, "A true WTF moment makes you aware of your current reality. It demands you accept full responsibility for where you are and it gives you the vision you need to commit to change." I shared one of my personal WTF moments here on the blog back in November 2010. If only I would have had Jennifer's book and downloadable journal to help me through that painful transition back then. Yet, I feel that I am gaining some healthy perspectives through her book that I will be able to pull from when I inevitably face another of life's curve balls. In WTF to OMG, Jennifer shares much of her personal journey in a touching and humorous way. I believe most moms could relate to where Jennifer has been as well as to her dreams for herself and her family. "I wrote the book simply because it became very apparent to me that I had lost my way and had put everything before myself, and then I had a mess on my hands," Jennifer said. "That mess took a decade to fix. I know others may find themselves in this place, and I can help. I also know this knowledge can prevent people from getting lost in the first place. The book offers steps that allow the process to begin." As I read, I find myself both giggling and crying as Jennifer's heart shines through between the lines. I also am being encouraged and inspired to make positive changes in my life once I am back home. I love that she provides a downloadable journal with the book to assist with personal reflection. Jennifer will be speaking and signing books at McNally Robinson on April 2 at 7 p.m. in the Travel Alcove. And, she is graciously giving away a signed copy of her book to two lucky saskmom.com followers! To enter, share what you are currently reading or one of the last books you read. Earn a second entry through the WTF to OMG post on our Facebook page. For a third bonus entry, check in and comment on Jennifer's business page on Facebook and let her know you are excited about the book give-away on saskmom.com. We will announce a winner on Tuesday, April 1.